The heat wave combined with the drought in wheat-producing region of Russia is causing some concerns, as the wheat production will be affected. That is annoying but not terribly threatening. Moreover, the price of wheat, as well as the prices of other agricultural commodities were due for a rebound because farmers had reduced production after the price fall of the previous year. But when politicians and speculators get involved, the problem takes a new dimension. Vladimir Putin announced a possible ban on Russian wheat exports and hell broke loose. The crisis then appears on all media. From mainstream media to the financial press, the world must know that we are in very big trouble, apparently. Bloomberg and CNBC reports on the price of wheat on the commodity exchange. The speculators are there, looming. The Wall Street Journal asks whether US farmers should plant more wheat and take advantage of the good wheat prices. The Financial Times reports about the quiet doubling of the price of barley. This is bad news for beer drinkers. Food inflation is around the corner. And what if Ukraine and Kazakhstan have the same problem? The Black Sea region is one of the main wheat producers. Even Lester Brown, of Earth Policy, flooded twitter this morning with an unusual amount of tweets expressing his concerns about the effect of climate change and the rise in temperatures. This is all well-known and well-studied stuff, but suddenly my friends, we are close to the end of the world. Or are we really? Mr. Brown even suggests that an increase of 14 F in temperature in the Mid-West would cause a drop of corn production by 50%. Considering that US corn is used for three purposes: biofuels (not food), high-fructose corn syrup (not food) and animal feed, the consequences for Americans would be positive: less driving, less soft drinks and less meat, all three items for which they largely over-consume, at the expense of their health. The ones who would hurt the most would be the Mexicans. When hysteria hits, it is always good to sit back, reflect quietly and maybe enjoy a cool drink, as long as we can afford it. What is really going on? Well, we have a climatic event that affects wheat production. It is not new. We have managed worse crises in the past. The excitement comes from two events. First, speculators have been active for quite some time on the wheat market and this gives them a good opportunity to jack up the prices. Although, remember the price hike of agricultural commodities of 2008! It was all on paper and not so much in the physical world. Yet, people were hoarding food in supermarkets like there was no tomorrow. Are we going to see the futures contract impact the real economy once more. I believe that if this happens again, we will see governments take action to regulate the trading of futures contracts. The bad thing about this is that the example of the new Wall Street regulations have been very slow to take shape and will take a long time to be implemented. Therefore, the “golden boys” still have some good times ahead with markets. Second event, which has reinforced the first one is the declaration of Vladimir Putin. Should we worry about it? Yes and no. Russia is now famous for its muscle showing policies. When oil prices were jumping up, the Russian government played quite rough with oil companies, especially Shell and BP. Their relation got a chill, and later they became good friends again. Russia’s policy on import of meat and poultry shows a similar pattern. Import restrictions alternate with more relaxed policies. Russia is struggling to achieve a satisfying level of food security and it uses all the means it has to develop and protect its domestic production, while sending a message abroad that Russia is strong. In my first language, a roller coaster is called “montagnes russes” (Russian mountains). That is quite relevant to describe this country’s style. 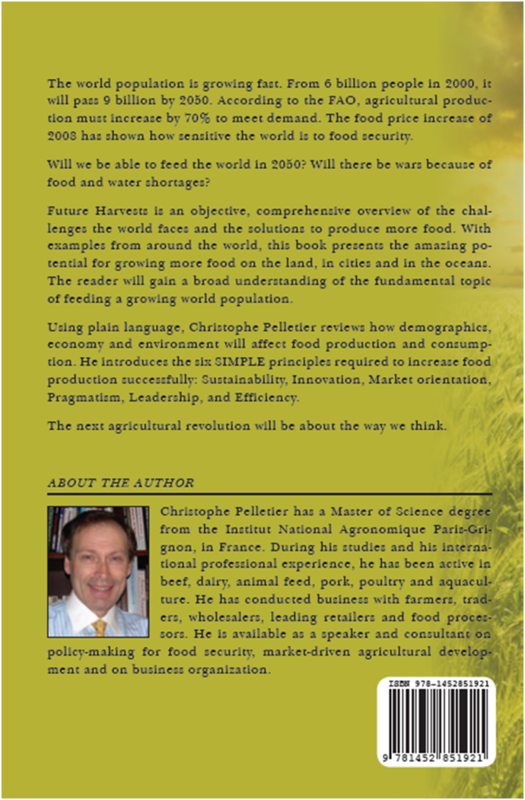 Is the world food situation at risk? As usual, we need to be vigilant, but there is no need for more panic than last year. What we need is a global production plan and increase production on a regular basis, simply because there is an increasing number of mouths to feed. If our approach is knee jerking on the actions of speculators, we will not achieve greatness. Farmers should consider planting more when the market demand increases. That is market-oriented production! If the farmers rush to plant more out of short-term speculation, they will experience the same as after the situation in 2008. Their suppliers (the ones listed on the stock markets) will increase the prices of inputs, especially fertilizers and gobble up the margin away from the farmers, like in 2009. The reality is that food is going to become more expensive, especially animal products. We need to get used to this idea right now, because over the long-term, this trend will not disappear. We need to act with vision and determination to achieve the goals, as I describe in the soon-t0-be-published “Future Harvests”. Today ended up on a positive note after all. US Agriculture Secretary Ed Vilsack declared that we were not facing a wheat crisis. And wheat prices eased on news that farmers were planting more. Famine averted. We need more long-term focused leaders and fewer speculators. On October 29 2009, Avesthagen from India and Limagrain from France signed a cooperation deal. As such, nothing exceptional, except that it brings a leading seed selection company together with an agro biotech company. This deal is about developing and selling genetically modified seeds that answer critical agricultural challenges such as the need for higher yields through drought resistance and high performance in soil with high salinity. The crops included in this deal are wheat, corn, maize, barley and sunflower. This deal also illustrates my prediction in my article “Future approach of genetics in agriculture”, that is the combination of GM technology with traditional breeding. This is quite a step further, and a much more useful one, from a global food security point of view, than developing GM plants to increase sales of other agricultural input such as herbicides. In my view, these two companies, and their joint venture, are on the right track, and they will lead by example.